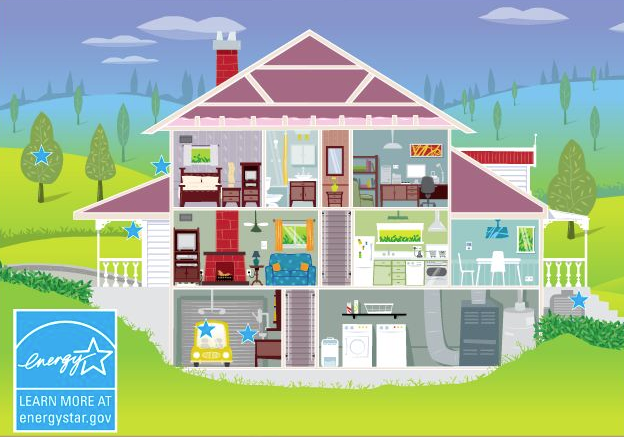 The North Carolina Energy Efficiency Alliance recently completed a market impact study comparing a random sampling of ENERGY STAR homes against homes with no building certifications that were appraised as similar as possible to the ENERGY STAR homes by a third-party appraisal company. The results? 1. Do ENERGY STAR qualified homes sell for higher prices compared to similar code built homes? 2. Do ENERGY STAR qualified homes sell for a greater percentage of their list price compared to similar code-built homes? 3. Do ENERGY STAR qualified homes sell for a higher price per square foot compared to similar code-built homes? 4. Do ENERGY STAR qualified homes sell faster (fewer days on the market) compared to similar code built homes? So what does this mean for the home buyer? The results indicated by this study suggest that ENERGY STAR Homes have a competitive market advantage compared to similar code-built homes. This multidimensional advantage is substantial enough to suggest to home buyers that the investment in ENERGY STAR certified homes is more than worthwhile. We are Jacksonville, Florida's hometown builder. We have built more than 2,500 homes for families right here in Jacksonville, Florida! As one of the area’s largest locally owned home builders, we are committed to building beautifully designed, 100% Energy Star certified homes at an affordable price. No matter which neighborhood you choose in Clay, Duval or St Johns County, Providence Homes has been a name families can trust as a Jacksonville new home builder for more than 20 years.